Two years ago, Vollmershausen Farms Ltd., switched from full surface tillage to zone till because of their desire to focus on soil health. So far they have found the combination of reduced tillage and cover crops has yielded more than just healthier soils. 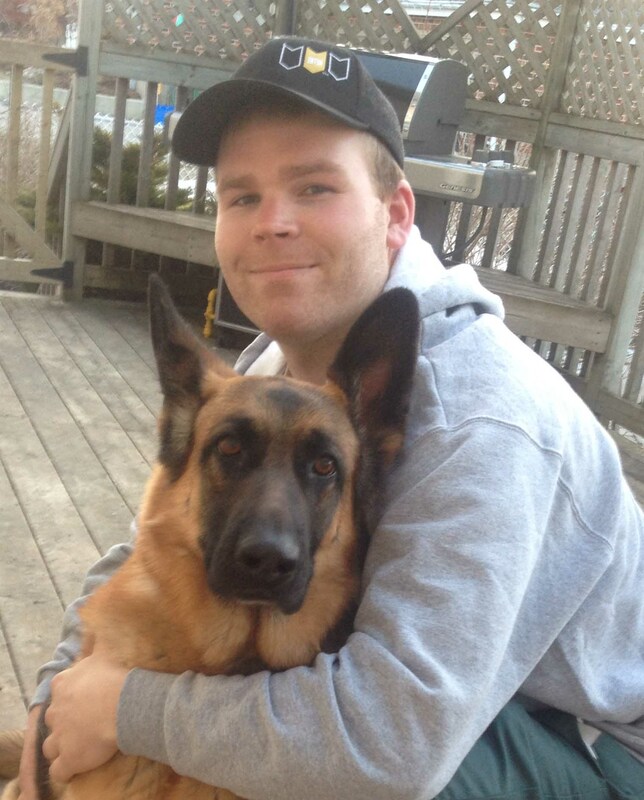 Tyler Vollmershausen is the sixth generation to farm the family land in Oxford County in Southwestern Ontario, Canada. He farms with his father Larry, uncle Brian, and grandfather Doug. The area is a heavy cash crop county, similar in latitude to northern California and northern Iowa. The Vollmershausens raise corn, dry edible beans, and winter wheat as well as rye and oats for cover crops. They believe in biological tillage, which replaces steel with roots whenever possible. They use cover crops to keep living plant roots in the soil at all times. They utilize multiple plant species for greater diversity because each species feeds microbes in the soil, fostering greater soil health. “That’s why I like strip-tillage, because you conserve two-thirds of the soil's surface, allowing regeneration to occur,” says Tyler. Vollmershausen says there aren’t many strip-till farmers in Ontario, so when he began looking into the practice a few years ago he attended conferences and learned from some of the world’s foremost experts. After deciding it fit their vision of growing soil health, Vollmershausen Farms purchased a SoilWarrior. That fall the Vollmershausens used the SoilWarrior to establish zones for spring. 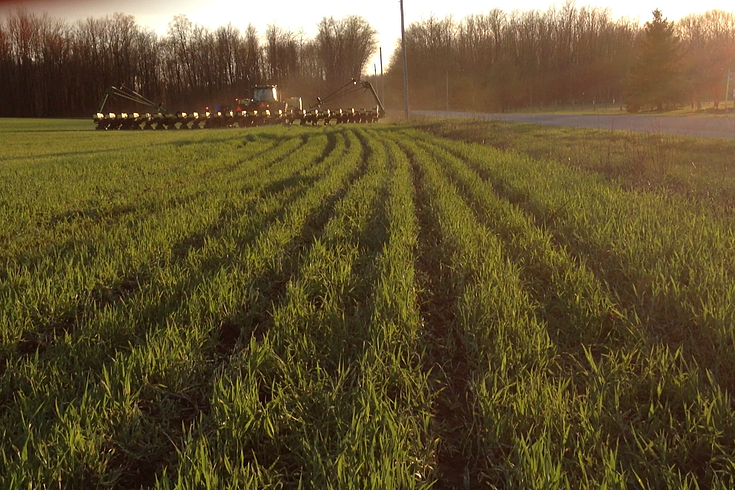 The 2014 growing season was their first full season using the SoilWarrior and the results were very favorable. Vollmershausen says soil moisture is the number one yield limiter in their area. Because of the reduced soil disruption and improved water holding capacity through zone till, their yields were 10 to 15 percent higher in 2014. Tyler attributes those higher yields to several factors. Tyler says their farmland has variable soil types, ranging from coarse sand to clay and silt loam. Part of the reason they chose the SoilWarrior was because of its ability to handle multiple soil types with ease. 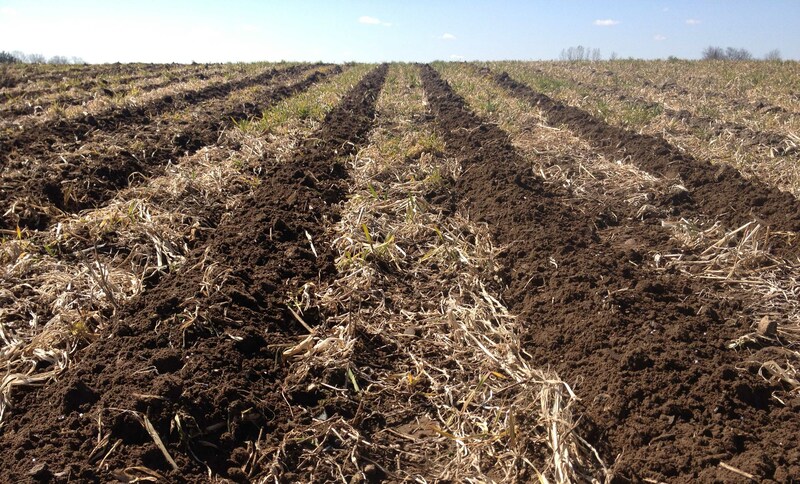 “We like the SoilWarrior's coulter-style tillage because it blends up the soil so the strips don’t wash out with heavy rains,” Tyler explains. “We also find that it’s well-suited for the variable soil types because you can adjust the down-pressure in the airbags to match the soil type." The Vollmershausens likes the capability of integrating the steerable hitch and the active implement guidance offered by the SoilWarrior. Because they use a 12-row SoilWarrior and a 24 row planter, the strips have to line up consistently. With the SoilWarrior they do. Despite the fact there aren’t many strip-till farmers in Ontario, Tyler sees growing interest among farmers in taking care of the land. Interested in giving your soil health a boost? Tyler has a few tips on cover crops to help get you started.